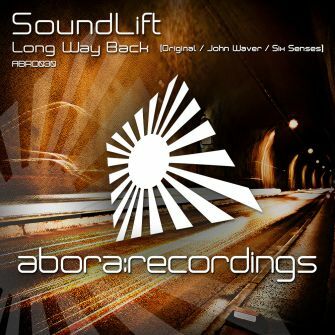 SoundLift makes his official debut on Abora Recordings with the uplifting release of "Long Way Back". He was formerly quite well known for his massive uplifting track "Nakhti". 2010 was a huge breakthrough year for SoundLift and he looks set to continue with the same level of quality! Ambient vocal effects, warm pluck synths and smooth basslines give this track a really easygoing but contemplative vibe. John Waver once again shows off his remixing talents with this beautiful remake. The hypnotic lead in this track really puts the icing on the cake. The breakdown feels lush and warm, with a really tranquil quality. Six Senses is previously known from his fantastic releases on Infrasonic. He jumps into this release to give us an edgier and harder feeling track while still retaining the uplifting melodic feel of the original. We look forward with enthusiasm to SoundLift's next releases on Abora Recordings! 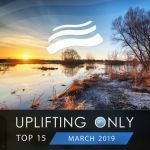 Supported by: Armin van Buuren, Aly & Fila, Sean Tyas, Ashley Wallbridge, Audien, Costa, Dash Berlin, Dima Krasnik, Ernesto vs. Bastian, Flash Brothers, Jon O'Bir, Kaeno, M.I.K.E., Manuel LeSaux, Phynn, Tempo Giusto, Tritonal, Ulrich Van Bell, Vast Vision, Amurai and many more!